Among those who testified at the 2019 commission’s initial hearings were several elected officials who presented their own broad proposals that could significantly change how the city conducts its business and how those who hold power can wield it. They included City Council Speaker Corey Johnson, Comptroller Scott Stringer, Manhattan Borough President Gale Brewer, Staten Island Borough President James Oddo, and several City Council members from the five boroughs. Johnson -- who appointed the commission’s chair Gail Benjamin, the former head of the Council’s land use division, and three other members -- sees in the commission an opportunity to fix the balance of power in the city, which tilts toward the mayoralty and at times can diminish the oversight and accountability role played by the 51-member Council. Johnson also recommended the commission look at the structure of the Law Department and the Corporation Counsel. “One lawyer attempting to serve two separate branches of government is an invitation for confusion and disruption and may not be in the best interests of the City,” his testimony reads, in reference to representation of both the executive and legislative branches of city government, an issue that has come to the fore as Council members have sought to join a lawsuit against the city’s property tax system. Johnson is also pushing for changes to the city’s budget process to give the Council a greater voice and to tie budget allocations more closely to city programs, and also argued in favor of instant runoff voting, also known as ranked choice voting. The most sweeping reforms that Johnson proposed, however, deal with the city’s land use process, which is almost always contentious and has been recently as Mayor Bill de Blasio’s administration has moved to rezone several neighborhoods -- mostly low-income, communities of color -- to increase density and create more affordable housing. Johnson and other members of the Council’s Progressive Caucus have advocated for a citywide planning framework that gives communities greater say in land use decisions and balances equity with development. They have also called for an independent City Planning Commission, as opposed to the one currently composed largely of mayoral appointees. Council Members Diana Ayala, who co-chairs the caucus, Keith Powers, a vice co-chair, Brad Lander, and Adrienne Adams each testified on those proposals at separate borough hearings. “The status quo of ad hoc planning is just not working…We need a larger vision based on equity, a vision in which low-income communities do not have to slowly bear the brunt of the city’s every housing and infrastructure need,” Ayala said at a September 12 hearing in the Bronx. Those goals are also in line with a report released in January by the Regional Planning Association, a prominent think tank, in partnership with community advocacy groups, academic experts and partners in city government. The RPA report, titled “Inclusive City”, was also presented to the charter commission and cited by elected officials, including Brewer, who also testified at the Sept. 27 hearing. Brewer, along with Public Advocate Letitia James, was the driver behind the legislation that created the commission and has expressed hope that it can bring a sea change the likes of which hasn’t been seen since the 1989 charter commission fundamentally altered the structure of city government, giving it its present form. In her testimony, Brewer emphasized a more thoughtful process for land use decisions that includes early input from community boards and elected officials before applications are certified through the Uniform Land Use Review Procedure (ULURP). “With pre-planning we can do more than merely react—we can shape a project,” she said. Similar to Johnson’s testimony, Brewer advocated for increased transparency in the city budget. She also said the Civilian Complaint Review Board should be strengthened and its budget tied to the NYPD’s, to ensure that the watchdog agency has sufficient resources to deal with a growing police body. Additionally, she noted her opposition to term limits for community boards, which have been proposed in a ballot question by the mayor’s commission. Borough presidents appoint most community board members. Comptroller Stringer’s ideas, in number at least, outpaced other elected officials. 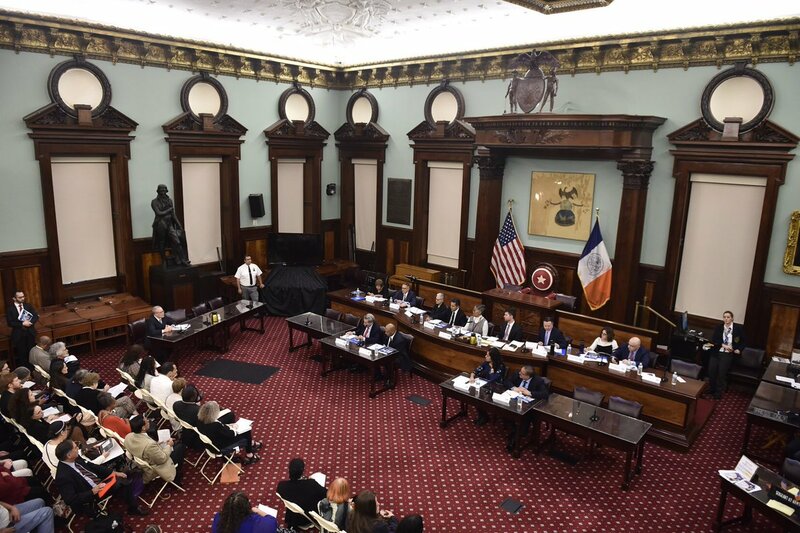 In an exhaustive report presented at the City Hall hearing, Stringer recommended 65 revisions to the charter ranging from proposals on city budgeting and procurement to housing, cybersecurity, children’s services, campaign finance and voting reforms. Chief among Stringer’s proposals was a push for a Chief Diversity Officer in the mayor’s office and in each city agency, to ensure diversity in hiring and in contracting. Stringer has advocated for increased investment in Minority- and Women-Owned Business Enterprises (M/WBEs) and he noted that though New York City spends nearly $20 billion on goods and services each year, less than 5 percent of the contracts are given to M/WBEs. He also proposed a new Office of Inspection independent of the Department of Buildings and the Housing and Preservation Department, which he said play conflicting roles since they both approve new construction and development and are also charged with enforcing housing and construction codes. In line with his role as the city’s chief fiscal officer, Stringer also pushed for reforms to the capital budget, which funds infrastructure projects in the city. He said it should be transparent enough so the public can identify the cost of specific projects and be informed when those costs change. Several other City Council members also weighed in on proposed charter revisions. education, homeless services, senior services, and mental healthcare. At the September 20 hearing in Queens, Council Members Adams and Francisco Moya, who is not a Progressive Caucus member, supported improvements to ULURP. “Displacement in our neighborhoods is no longer a possibility but a fact of life,” Moya said, according to written testimony. He called for the charter to mandate assessments of displacement brought about by proposed development. “We cannot view our city and its neighborhoods in a vacuum,” Moya said. There were, of course, elected officials with more borough-specific agendas. At the September 24 hearing on Staten Island, testimony by Borough President James Oddo, and Council Members Steven Matteo and Joseph Borelli (all three Republicans, unlike all of the other aforementioned officials, who are Democrats), advocated for greater freedom for the borough from “bureaucrats in Manhattan,” as Oddo and Matteo put it. Oddo and Matteo, in submitted testimony, said that city agencies should be restructured to give borough commissioners more power over local issues. “Agencies should be restructured in such a way that the chain of command within the agency is clear, and that one individual on the local level is not only responsible and accountable, but specifically empowered within the agency to act,” they wrote. Borelli similarly pushed for more decentralization of power, expressing concern that the priorities of Staten Islanders are often ignored by city government and that new changes to the charter could adversely affect the borough. “We don’t want to be laboratories for the latest experiments in social engineering as too often seems the case on issues ranging from buses to composting,” he said. He largely argued for giving the borough president greater jurisdiction over local issues, similar to a county executive outside New York City. He also criticized the city’s public matching funds program for campaign financing, calling on the commission to negate the potential expansion of the program that could happen through a ballot proposal put forward by the mayor’s commission. And, he advanced several other proposals -- mandating that the Independent Budget Office study the fiscal impact of every piece of City Council legislation; reducing duplicative roles played by different city agencies; making it harder to raise taxes in the city; improving the process for holding special elections; and curbing the power of the Board of Standards and Appeals. Note - This article has been updated to include testimony from Council Member Helen Rosenthal and updated testimony from Council Member Ben Kallos. The September primary election is just over one week away and if New York City Public Advocate Letitia James wins the Democratic nomination for attorney general over her three primary opponents, she will be a significant favorite to win the position in November owing in large part to the state’s Democrat-heavy electorate. No Republican has won statewide since Governor George Pataki captured a third term in 2002; it’s been far longer for a Republican attorney general. James winning the nomination will likely kick-off, in earnest, a mad scramble by several sitting and former elected officials who may seek to replace her through the at-that-point nearly certain special election for her citywide seat. Among the stronger potential contenders discussed in Democratic circles are two former speakers of the New York City Council -- Melissa Mark-Viverito, who led the body until last year, and Christine Quinn, her predecessor. While they come from different wings of the New York Democratic Party, both Mark-Viverito and Quinn are firebrand politicians in their own right, and both made history in their respective ascensions to the speakership. Quinn, a Democrat who represented parts of the lower west side of Manhattan, became the first openly gay and first female speaker in 2006, presiding over the 51-member legislative body for two four-year terms. For the last three years, since being term-limited out of office and losing in the 2013 mayoral primary, she has served as president and CEO of Women in Need (WIN), a nonprofit that provides services to homeless women and children. Some Democrats and others have criticized Quinn for her close working relationship with Mayor Michael Bloomberg, including the effort to extend term limits, which allowed Bloomberg, Quinn, and others to seek a third term in 2009 despite public disapproval. She is currently a close ally of Governor Andrew Cuomo, who appointed her vice chair of the New York State Democratic Committee. Mark-Viverito, a Puerto Rican native who represented a district that includes East Harlem and part of the south Bronx, became the Council’s first Latina speaker in 2014, pushing a broad agenda of criminal justice reform, immigrant protection, police accountability and affordable housing. In January, she became a senior adviser at the Latino Victory Fund PAC, a group that supports Latino candidates for elected office. As speaker, Mark-Viverito was at times criticized for her close relationship with Mayor Bill de Blasio, a fellow progressive Democrat, and she has been an outspoken critic of the governor, endorsing his primary opponent, Cynthia Nixon. Mark-Viverito is one of a relatively small group of prominent Democrats that is backing Nixon for governor and James for attorney general. The special election, if there is one, would take place in March, assuming James is sworn in January 1 and vacates her current seat. Special elections for public advocate are nonpartisan, and each candidate would have to run on their own unique political party ballot line. The winner would then have to run for the seat again in a primary and general election later in 2019, if that person wants to keep the position. There are several others who have either been floated as candidates or have signalled an interest in becoming the city’s ombudsperson, a post also considered a strong launching pad for a mayoral bid as de Blasio illustrated. They include sitting City Council Members Rafael Espinal, Ydanis Rodriguez, Ritchie Torres, and Joe Borelli, the only Republican among them. All of them but Borelli will be term-limited out of office in 2021. State Assemblymember Michael Blake is another potential candidate, as are Republican attorney J.C. Polanco and Columbia professor David Eisenbach, who both challenged James when she was up for reelection last year -- Eisenbach in the primary and Polanco in the general. Eisenbach has already officially filed papers with the New York City Campaign Finance Board. The public advocate can act as more than just a “counterweight to the mayor,” the consultant said. “That person also can establish themselves as someone who is also driving the agenda for New York, and that’s something we haven’t really seen since Mark Green,” the person added, referring to the city’s first-ever public advocate, who served from 1994 to 2001. Torres, in a statement through a spokesperson, said, “I am still thinking about it and where I would be most effective. I’m debating which position would allow me to be a better advocate for the city.” The Bronx Council member is also said to be looking at a run for Congress or Bronx borough president. Borelli also said he was considering a run for public advocate, though he conceded that it would be tough to retain. “It’s possible to win a special, but it will be difficult for a Republican to win the following November,” he said in a text message. Blake, who is a vice chair of the Democratic National Committee, was the campaign manager for 2013 public advocate candidate Reshma Saujani, giving him some recent experience with a citywide race. He was then elected to the Assembly in 2014. No current elected official would have to give up their seat to run in the special election, but, if victorious, would then have to vacate their position to become public advocate. As Borelli alluded to, one effect of numerous Democrats entering the fray is that they could split the vote in what will likely be a low-turnout special election, offering up an opportunity for a Republican to claim victory. Polanco noted that the nonpartisan aspect of the election is “always good for democracy, always good for participation,” since voters won’t necessarily make choices along party lines. But he also echoed the risk for any sitting Republican elected official who might run, as Borelli noted. “Do you give up your Council seat for that? I don’t know whether that’s a good gamble or not, especially if you have three years left on your Council seat,” Polanco said. 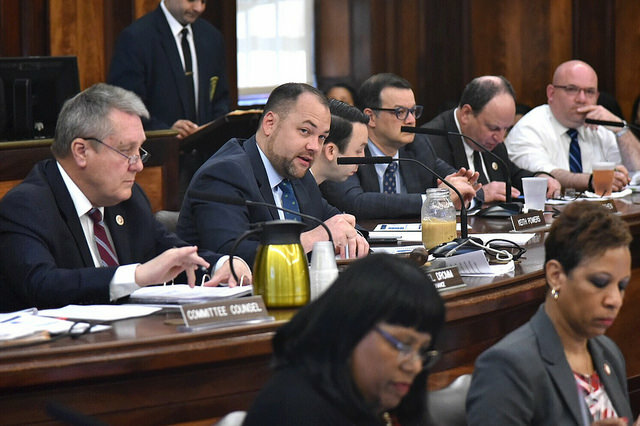 City Council Speaker Corey Johnson has made an unprecedented push for the proposal to be funded in the next city budget, due by July 1, which will outline roughly $90 billion in spending. Johnson, his Council colleagues, and his aides have employed social media campaigns and on-the-ground outreach to convince Mayor Bill de Blasio to agree to the necessary funding. The mayor has shown nominal support for the idea but has insisted that it should be funded by the Metropolitan Transportation Authority (MTA), which is controlled by the state and effectively answers to Governor Andrew Cuomo, or through an added tax on high income earners. Matteo and fellow Staten Island Republican Council Member Joe Borelli, who is also unsupportive of Fair Fares, are among those behind a Council push -- supported by Johnson -- to convince de Blasio to fund a $400 property tax rebate to homeowners with household incomes under $150,000, another initiative the mayor has thus far spurned. Politico New York reported last month that Speaker Johnson was considering cutting certain Council initiatives from the budget to fund Fair Fares, which could mean that individual members may see some of their own priorities unfunded in the final budget if the mayor doesn’t concede to the Council’s demand. 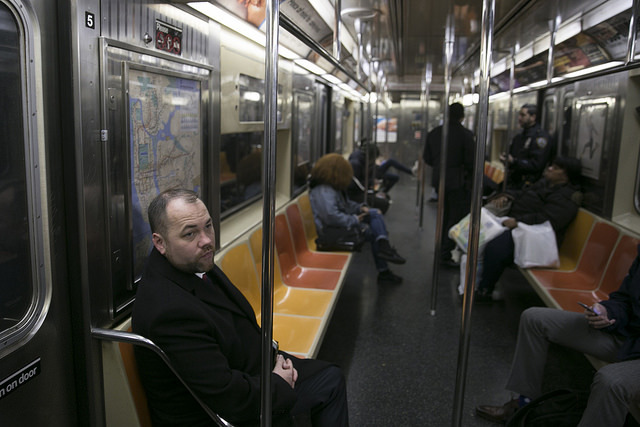 Johnson has declined to confirm the report, and a new report by Politico indicated on Wednesday that the speaker appeared to be close to getting de Blasio to agree to some initial version of a Fair Fares program in an imminent budget deal. When asked to elaborate on his concerns, Diaz Sr. refused. “I’m telling you as much as I can tell you,” he said. The general election debates in last year’s mayoral race largely lacked substance and order, as Mayor Bill de Blasio twice faced off against two challengers -- Republican Assembly Member Nicole Malliotakis and independent candidate Bo Dietl. Perhaps in part because de Blasio was not seen as vulnerable to defeat in an overwhelmingly Democratic city, the debates also lacked a wide audience. But there was another issue at play, for those debates and others mandated as part of the city’s campaign finance system: public accessibility to view them. 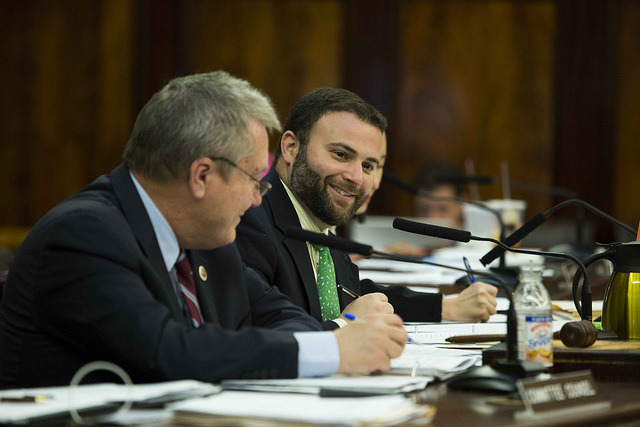 City Council Member Joe Borelli and his colleagues seek to expand access to televised city election debates -- which can be held for the three citywide positions in party primaries and general elections -- through a bill passed by the Council on Wednesday. Borelli’s bill requires that all mandatory debates hosted by the New York City Campaign Finance Board, in partnership with numerous local news organizations, be publicly broadcast at no charge on a city-owned or operated television channel to reach the widest possible audience. This would be in addition to broadcast by any selected network as the CFB typically chooses a lead TV station for each debate. He said that more than half of the city’s residents did not have access to certain debates because they either could not afford or refused to subscribe to Spectrum, NY1’s parent company. In the 2017 election cycle, the debates not televised by NY1 were broadcast on TV by CBS-2 New York, a network typically part of all basic television packages. This included the second of two general election mayoral debates. A press release from Borelli’s office said the bill is expected to be signed by the mayor. Seth Stein, a mayoral spokesperson said in a statement, "We look forward to reviewing the final version of this bill that was passed by the Council. The Mayor supports measures to make our democratic process more open and accessible to New Yorkers." Camarda also urged the committee to consider webcasting debates on one or several city government-run sites. “We think that that’s advantageous, not only because it’s less expensive, it allows for archiving at much lower costs, and it can be watched on smart phones which, more and more, is what people watch their content on these days,” Camarda said. Those proposals weren’t reflected in the final legislation. Joseph Borelli is a City Council member, former state Assembly member, Staten Islander, conservative Republican, and outspoken Donald Trump supporter. On the podcast, Borelli discusses his district, his constituents and their concerns, the fact that he is a "proponent of secession" for Staten Island from the rest of New York City, his take on Mayor de Blasio, Governor Cuomo, President Trump, the media, and more. Listen to the full conversation and let us know what you think -- we're on Twitter @TweetBenMax and @JarrettMurphy, and this week's guest is @JoeBorelliNYC. You can listen to the episode through the embedded audio below or download the episode wherever you get your podcasts. The presumptive Republican nominee for governor of New York did not vote for the Republican president of the United States. One question Marc Molinaro was asked most often in the early weeks of his campaign to replace Governor Andrew Cuomo is whether he voted for Donald Trump in November 2016. 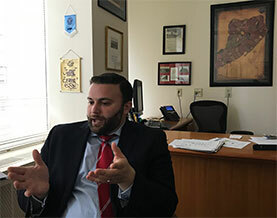 “I did not, I voted for Chris Gibson,” Molinaro told reporters in Albany on April 2, the day of his official campaign launch, naming the former Congressional representative who is now chair of Molinaro’s gubernatorial campaign. It was the second time that day Molinaro, currently Dutchess County Executive, had been asked the question, the first coming in the village of Tivoli, where he grew up, became mayor at the age of 19, and held his first launch event. Both times he answered quickly, and briefly, ready to move on to the next question. A follow-up question, though: why didn’t you vote for Trump? In several iterations of the same answer over the course of weeks, Molinaro has not explained the “significant differences” he had with Trump that led him to write in Gibson. Molinaro has mentioned two incidents where Trump has disappointed him since taking office -- the president’s response to a white supremacist rally in Charlottesville, Virginia and the federal tax overhaul that severely limits state and local deductions -- but has not provided details of his issues with Trump during the campaign. A Molinaro campaign spokesperson said she thought he had been clear in his answers about Trump and did not provide more detail when Gotham Gazette inquired. Molinaro’s lukewarm approach to the president does not seem to have had an impact on his ability to garner the support of key New York Republican leaders in his bid to earn the party nomination and take on the winner of the Democratic gubernatorial primary, where Cuomo is being challenged from the left by actor and activist Cynthia Nixon, both painting themselves as essential anti-Trump forces. The Trump question could continue to prove tricky for Molinaro, who appears to want to discuss virtually anything else. There is no question that his Democratic opponent will attempt to tie him to the president and members of the media will want to know what he thinks of various Trump actions. While he didn’t vote for Trump, Molinaro is loathe to explain why and hesitant to criticize the president. While Trump is deeply unpopular in New York overall, he retains strong support from Republicans in the state (Democrats hold a significant voter enrollment advantage across New York). Trump, a New York City businessman and television star, won 46 of 62 New York counties in his election against former New York Senator Hillary Clinton, though Clinton still won the state handily, 59 to 36.5 percent, thanks to dominating the population centers, including New York City. A February Quinnipiac poll showed Trump underwater in New York at 30 percent approval and 65 percent disapproval, though it was actually a slight increase in approval for the president. Within those numbers, though, Trump had a 79-15 percent approval rating among Republicans, and a 5-93 percent among Democrats. It looks as though Molinaro will not be forced into the difficult task of having to hug Trump in a Republican primary to then distance himself in a general election, where he almost certainly will need to win over many independents and some Democrats to win. The Dutchess County Executive, who has held a handful of different government positions over more than 20 years in elected office, appears to have secured both the Republican and Conservative Party nominations, and their ballot lines in November. Throughout the process of seeking the backing of different county chairs of each of the two parties, Molinaro has had to answer the Trump question in public and in private. He then pivoted to criticizing Cuomo, whom Molinaro has repeatedly said “displays the very attributes he demonizes,” as he tweeted recently about Cuomo and Trump, pulling up just shy of criticizing the president while still being able to take a shot at Cuomo as a hypocrite. Despite his coolness toward the bombastic president, the seemingly even-tempered Molinaro -- who is basing his run in part on the quality of his character, his ethics, values, and willingness to work across the aisle -- has continued to gain support from Trump backers. Long said he’s spoken with Molinaro about his lack of support for Trump. “What I found out was: number one, father of young children, he at the time, what was going on in the campaign, he wasn’t comfortable voting for Donald Trump, and he felt his vote in New York wouldn’t make a difference in the outcome here,” Long said in an interview with Gotham Gazette. “The meter is different, but on the issues they mostly see eye to eye,” Long said of Trump and Molinaro, who says that as governor he would lower taxes, rein in state spending, return more power to localities, clean up rampant corruption in state government, and improve management at the MTA. While he holds many conservative positions, Molinaro has also expressed some more moderate stances on immigration and campaign finance reform. New York City Council Member Joseph Borelli, a Republican from Staten Island, was an early endorser of Trump in the presidential race and continues to strongly back the president. He is also vehemently behind Molinaro for governor. “New York City could benefit from someone like him at the helm of our state,” Borelli also said. On whether he thinks Trump will be involved in the race personally, Long said he doubts it. “I don’t see the president getting involved at any part of the campaign. I don’t see any need for that happening. The president has his hands full dealing with the anti-Trumpers around the country,” Long said. 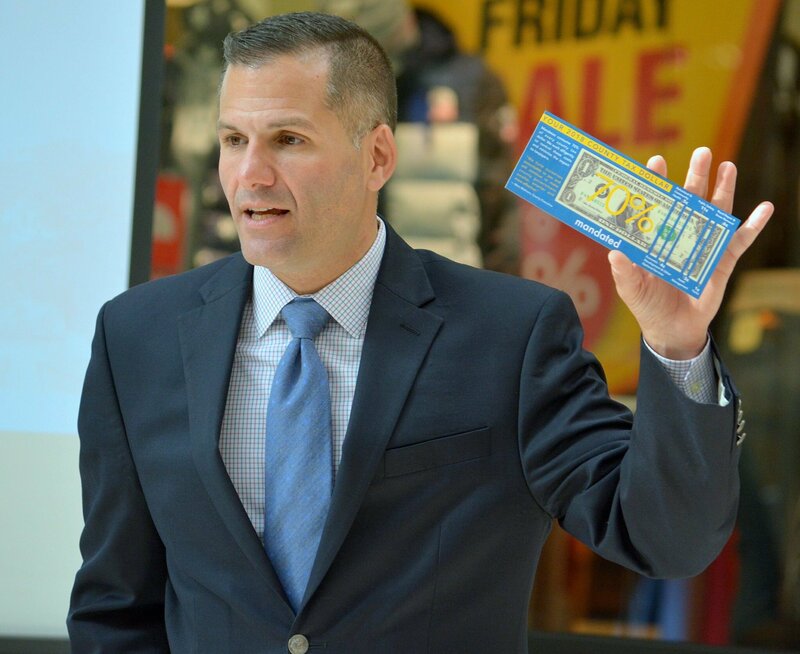 Marc Molinaro wants you to believe in government again. In order to do so, he will argue, you must elect him to be the next governor of New York, eschewing the cutthroat, divisive, corrupt politics of Andrew Cuomo and opting for unity, dignity, and bipartisan problem-solving. The 42-year-old Republican is in his second term as Dutchess County Executive; on Monday he will officially launch his gubernatorial campaign from the town of Tivoli, where he grew up and was elected mayor at 18, in 1994. In part, he is going to run for governor on the concept that Andrew Cuomo is a bad guy and that he, Marc Molinaro, is a good guy -- a man with good values, good character, and the right approach to government. Many will vouch for him; and loud will be the chorus decrying Cuomo, who, despite not being particularly well-liked by people in politics, has many of his own advantages as he seeks a third term. While Molinaro has been a declared gubernatorial candidate for weeks now -- appearing at candidate forums, racking up endorsements from party leaders across the state, and emerging as the frontrunner for the GOP nomination -- Monday will mark a new beginning, setting off a seven-month push to become the first Republican elected statewide since Gov. George Pataki won a third term in 2002. 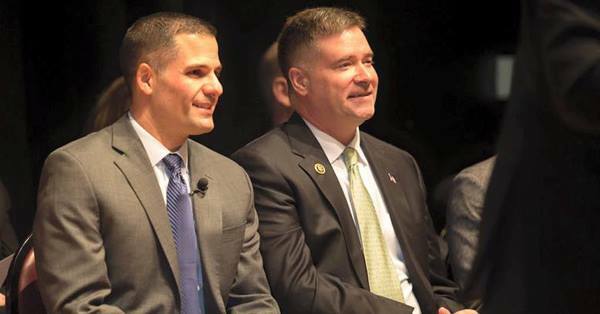 “We’ve elected state leaders who don’t understand how government is supposed to function,” Molinaro said in an interview earlier this year, “who don’t think they are truly responsible and accountable and ought to be accessible to the voters. And I have done all of that.” In order to inspire more confidence in government, Molinaro will argue, leadership must be more worthy of respect, more attentive, and more competent. “[W]hen you look to Albany and Washington, you realize all of a sudden that they have one thing in common: they’re divided,” Molinaro says in the campaign video he released last week. “[T[he politics of today seems to be focused on tearing others down instead of lifting up the people we serve. We seek to bring people together, to work together, to overcome our challenges, and I know that the people working together can solve any problem, confront any challenge, and overcome any obstacle." Though there will be plenty of lofty rhetoric, Molinaro will not be running a purely positive campaign, as he has already fired off acerbic attacks on Cuomo, the Democratic incumbent who must survive his own primary challenge before worrying about the Republican nominee. Molinaro is the heavy favorite to leave his party’s May convention as the nominee -- Republicans are aiming to avoid a contentious primary, while Cuomo is likely to have to battle actor and activist Cynthia Nixon through the September 13 Democratic vote in what is shaping up to be a scorched-earth contest. Part of the reason Molinaro is favored by many of his partymates is that he is something of an Albany outsider -- though he did spend five years in the state Assembly minority -- who is able to run on executive and legislative experience and a believable platform of changing the way business is done in a state capital known for secretive negotiations, pay-to-play politics, and other legal and illegal ethical breaches. Molinaro’s main competition for the nomination is state Senator John DeFrancisco, the deputy majority leader who has been in the Senate since 1992. Molinaro is folksy but assertive. He is self-deprecating -- “my mom still thinks I should get a real job” -- with a honed sense of himself and ready ability to talk about what he sees as the strengths of his record, having spent virtually his entire adult life in elected office. He talks about his family a lot - he has three young children, including one with special needs, which has helped inform one of his focus areas as county executive. He talks about growing up with a single mother, eating free lunch at school -- “we struggled quite a bit” -- and is quick to show empathy. He is a people-person; Andrew Cuomo is not. There are a variety of clear reasons why Molinaro was recruited to run, even after he said in early January that he had decided against it, leading him to change his mind and answer the call from fellow Republicans. But, he’ll face some daunting challenges if he does indeed win his party nomination and face the incumbent in the general election: raising money, especially enough to compete with Cuomo, who has shown tremendous skill at exploiting New York’s porous campaign finance rules to accumulate a massive $30 million war chest; building name recognition across the state; and appealing to the more conservative Republican base as well as moderates from both major parties and independents. “There are real people in the State of New York of all backgrounds who I think do want a competent, capable, caring leader, and who are willing to cross party lines to be supportive,” Molinaro said. Alongside character, he’ll have to compete with Cuomo’s record, which boasts a number of high-profile accomplishments, and the support for the incumbent from the Democratic establishment, including many labor unions, and, perhaps, an activist base that decides Cuomo is preferable to anyone with an “R” next to their name, especially in the Donald Trump era. New York is a blue state, with a significant Democratic enrollment advantage, and November is expected to usher in the full impact of a blue wave building across the country, including in New York. But, there are many parts of the state that lean Republican and some signs of Cuomo fatigue. Seeking a third term in 2018 may be like seeking a fourth term in earlier eras that didn’t have today’s news cycles and social media. Mario Cuomo, Andrew’s father, lost his attempt at a fourth term to Pataki in 1994. Andrew Cuomo is likely to be damaged by what is already a bruising primary challenge from Nixon, who, if she doesn’t win, is cutting powerful ads for use against the incumbent in the general. While Nixon is challenging Cuomo from the left flank, her criticisms of him as “corrupt Cuomo,” “Andrew the bully,” a poor steward of the MTA, and more, are all ones that will be tenets of any Republican campaign against the governor. Though polls and campaign accounts show Cuomo in good position as the campaign season gets moving, and he is a famously crafty political operative, the amount of apparent vitriol from the governor’s left and right should not be underestimated. Nixon launched her campaign less than two weeks ago, many prominent Democrats have sidestepped questions about endorsing the party’s most powerful New York player, and anti-Trump and anti-Senate Independent Democratic Conference fervor may take major bites out of Cuomo’s margins in the primary. As the calendar turns to April and Nixon throws haymakers, enter Molinaro. The county executive will talk “purpose” and “service” a lot, he’ll talk about civic responsibility, shared values across political lines, family, and opportunity. He will continue to criticize Cuomo on ethical, management, and leadership lines. He will point to the struggling economies of upstate towns, the floundering New York City subway system, the high property taxes and unfunded mandates on localities, the corruption trials of top Cuomo aides, the secretive Albany budget negotiations, and the vengeful nature of an incumbent with few friends but many allies. That will take him only so far. Molinaro will need a clear platform, and his positions on a variety of issues will be vetted carefully. He’ll need to secure votes across upstate New York and break through in the suburban counties surrounding New York City, including the areas around his own home in Dutchess and onto Long Island. He’ll have to make himself exempt from the apparent suburban revolt against Trump’s Republican Party. Votes from the five boroughs would also be helpful, if not essential -- can he secure the Giuliani and Bloomberg Democrats and independents and hit the “magic 30 percent” that Republicans believe they need in the city to win statewide? How will Molinaro tailor his campaign in the different regions of the state? How will he talk about Trump? Who will be his lieutenant governor candidate running mate? As he seeks to mostly take the high road, Molinaro has been critical of the tone and tenor of the 2016 presidential campaign, and said at a recent candidate forum in Manhattan that he will support Trump when he works to help the middle class, but speak up when he disagrees with the president. “You’ll always hear me say it the way I see it, just like I think many people admire the way he says it the way he sees it,” Molinaro said. Molinaro has said he did not vote for Trump in 2016, instead writing in former Congressional Rep. Chris Gibson, who at one time was many New York Republicans’ hope to challenge Cuomo this year. Gibson decided against running. Molinaro’s opposition to Trump has not stopped many Republican leaders from supporting him. While some Republicans throughout the state will want to hear Molinaro back Trump’s presidency, Democrats will surely use the president against whoever the GOP nominee is, especially in the state’s large cities and suburbs around New York City. When asked by Gotham Gazette if he calls himself a moderate, Molinaro said no. Molinaro said he has friends and colleagues who will vouch for him who are Democrats and Republicans. In Dutchess, he said with a laugh, “most of the Democratic leaders hate that they like me.” He said that he would work better with Democratic Mayor Bill de Blasio than Cuomo has. Molinaro is a fiscal conservative, promising job growth based on smart development, lower taxes, fewer regulations, and tighter government spending. “Driving down the costs of doing business and the cost of living is, I think, paramount,” he said. Molinaro believes in targeted support for industries or sectors to help encourage growth, saying that power has become too concentrated in Albany and he wants to return much of it to counties, cities, and towns. Molinaro noted his endorsement from The Sierra Club, saying he was one of the “few Republicans in the state Assembly” to earn the environmental group’s backing. He stressed that he’s not easily labeled. Molinaro may face challenges establishing broad-based appeal on social issues. He appears poised to run with a moderate, inclusive message on immigration, but on gun regulations, LGBT rights, and women’s reproductive freedoms he may struggle to find the constituency needed to win in New York, especially given the attacks that Cuomo would level against him on those issues. On gun regulations, Molinaro echoed what many Republicans across New York believe: “Frankly, I do have concerns with how aggressive this governor has been. I think in some ways irresponsibly ignoring those that do support, as I do, the Second Amendment and forcing legislation without having the kind of local robust conversation necessary. I believe the constitution is as it’s written.” Molinaro is a regular at Friends of NRA events, something Cuomo -- who pushed through the SAFE Act gun regulations in early 2013 -- would likely seek to use against him. Molinaro has been a steady critic of Cuomo’s ethics, and been among many asking questions about a pay-to-play culture where campaign donors appear to be favored and massive amounts of cash flow into the governor’s coffers from entities that have or hope to win state business. These issues were brought into sharp relief during the recent corruption trial of Cuomo’s top former aide, Joseph Percoco, and others. They will again be on display during another trial set to begin in June that features Cuomo allies, projects, and donors. The county executive said he’d “like to engage in a comprehensive reform of campaign finance.” He said he’s in favor of closing the LLC loophole, but only in combination with other reforms. “[T]hose are individual rights, those rights extend to individuals,” he said, raising questions about donations from businesses and labor. “[U]nions have a great deal of influence, corporations have a great deal of influence; the state contribution limits are astronomically out of line to other states, independent expenditure opportunities are pretty broad in the state. There are a lot of those reforms that I think should go hand-in-hand,” he said. The endorsements of Molinaro that have steadily flowed in over the past few weeks speak to faith in him as a leader and as a person. Many of those offering their backing cite different reasons, namely reigning in state spending, improving the economy, lowering taxes, and leading a more ethical government. As he formally launches his campaign, Molinaro will have to start proving that he can raise the money to compete, and that he has a sense of the path to victory. Much will depend on who emerges from the Democratic primary, but Cuomo is the obvious favorite at this point, no matter the state of the New York City subways, the recent corruption conviction of his former top aide, or the upcoming trial of his former economic development czar. Molinaro’s campaign believes that the stage is set for a competitive race, though, in large part because of those corruption trials, which have helped sink Cuomo’s standing in and around Syracuse, Buffalo, and Rochester, and the primary challenge from Nixon, which could damage Cuomo badly downstate. “I’ve thought about what a roadmap looks like and how one as a Republican in this state can win,” Molinaro said. “We know it takes a lot of messaging and action in New York City to allay fear.” To find a Republican governor acceptable, he said, would mean building trust in and around the five boroughs, but that he would be aided by the fact that Cuomo has “eroded” a significant portion of the progressive base of the party. 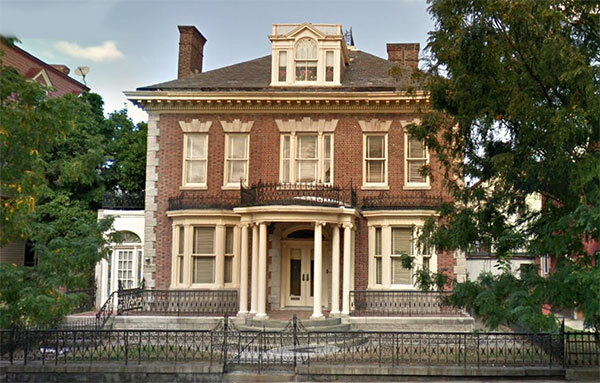 In October, the city’s Landmarks Preservation Commission voted to designate the Peter P. and Rosa M. Huberty House, at 1019 Bushwick Avenue in Brooklyn, as a city landmark. “The designation of the Huberty House honors both the historic character of Bushwick Avenue as it developed in the early 20th century, as well as the contributions of architect Ulrich Huberty to the borough of Brooklyn," LPC Chair Meenakshi Srinivasan said at the time. “Today's landmark designation will preserve this splendid Colonial Revival for future generations of New Yorkers to enjoy." A little more than three months later, on February 6, the item passed the City Council’s Subcommittee on Landmarks, Public Siting, and Maritime Uses. It then passed the Council’s Land Use Committee on February 8, and finally the full City Council on February 15. The landmarking has the support of the LPC, Council Member Antonio Reynoso, who represents the district the house sits in, Reynoso’s predecessor, Diana Reyna, Brooklyn Borough President Eric Adams, the Historic Districts Council, and the New York Landmarks Conservancy, to name a few. The problem: the owner of the house, Virginia Giovinco, is staunchly against it. Giovinco testified at a January 23 meeting of the Council’s Landmarks Subcommittee, when the landmarking of the house was being considered. The home has been in Giovinco’s family since 1937, when it was purchased by her grandfather, Luciano Giovinco, a tailor who had immigrated from Italy at the beginning of the 1900s. The house, a 4,000 square foot colonial revival mansion, was originally built in 1900 by the architect Ulrich Huberty for his parents, Peter and Rosa. Huberty also designed buildings such as the landmarked Williamsburgh Savings Bank, Hotel Bossert, and the Prospect Park Boathouse. Giovinco, now in her eighties, claimed at the hearing that the city has been attempting to landmark the house for at least 15 years. Her main worry appeared to be losing the autonomy of regular homeownership. She testified that, over the course of the Giovinco family’s 81-year ownership of the house, it had been kept in immaculate condition and any improvements had not deviated from the original colonial style of the home. Virginia Giovinco’s cousin Paul Giovinco also testified at the hearing, attesting that the house was not just within Virginia’s immediate family but rather a focal point for the entire extended family. Paul called out the city for not being supportive, saying that they had not received an offer from the city to cover a fixed portion of maintenance costs required by the landmarking. In response to testimony from the Giovincos, Council Members Daneek Miller and Mark Treyger discussed the need to strike a balance between the issues of homeowner autonomy and the need to preserve historic structures and communities through the landmarking process. Council Member Peter Koo recommended that the committee lay over the matter until further study. At the February 15 meeting of the full City Council, Miller, Treyger, and Koo all voted to advance the landmarking. Seven Council members voted against the designation: Joe Borelli, Ruben Diaz, Sr., Mark Gjonaj, Bob Holden, Steven Matteo, Eric Ulrich, and Kalman Yeger -- the Council’s three Republicans and several more conservative Democrats. Giovinco’s objections to the landmarking were on their mind. Borelli went even further in his objections, suggesting that the landmarking is a violation of the owner’s personal liberties. The Landmarks Preservation Commission describes itself as “the largest municipal preservation agency in the nation;” 36,000 buildings are landmarked properties in New York City. Most of those are located in larger historic districts, but there are 1,405 individually landmarked buildings, along with 120 “interior landmarks” and 10 “scenic landmarks,” which consist of city parks such as Central Park, Prospect Park, and Riverside Park. Its leadership is made up of 11 commissioners appointed by the mayor. When the LPC designates a city landmark, the designation must then be approved by the City Council’s Land Use Committee and then the full council. Virginia Giovinco declined to comment for this story. She has been on record against the landmarking since at least 2013, when she testified at an LPC hearing with the same concerns as she has now: that landmarking the house would result in her losing autonomy over her property. According the city’s administrative code, minor work on a landmarked property typically requires a permit from the LPC, unless another city agency deems an improvement necessary for safety. Major work such as demolitions or new construction requires more permissions from LPC, including a “certificate of no effect” on “protected architectural features,” a “certificate of appropriateness,” or are otherwise authorized to proceed with the work. The code also says that owners should keep properties in “good repair” and prevent decay and deterioration. Negron said “routine maintenance” of landmarked properties typically does not require review from LPC. City Council Member Adrienne Adams, the chair of the Landmarks Subcommittee, also told Gotham Gazette that she had met with Giovinco after the hearing. Though Bushwick Avenue is lined with many historic properties, only one other home on the avenue has been landmarked: the Catherina Lipsius House at 670 Bushwick Ave. Other landmarks on the stretch include a church, a Brooklyn Public Library branch, a Masonic Lodge, and the Williamsburg Houses NYCHA development. 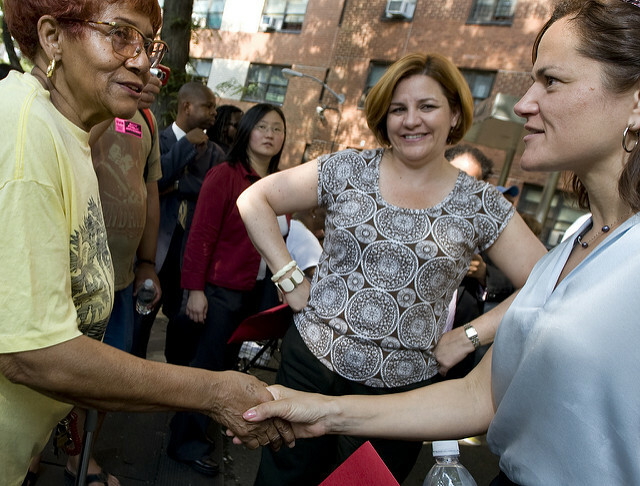 As arguably the second most powerful elected official in the city, Mark-Viverito oversaw an agenda of progressivism that significantly moved the needle for causes of social justice, especially related to immigrants, workers, and the criminal justice system, many of which were close to her heart and supported by a Council dominated by progressive members. But when the needle didn’t move fast enough, there were those that said Mark-Viverito too often carried the mayor’s water. It’s a charge she disputes, as do numerous Council members that served under her as they look back at her four years at the helm. Members broadly agree that she followed through on a promise to give rank-and-file Council members the freedom to pursue their priorities while standing firm against the mayoral administration when it mattered, and that some capitulation to the administration’s priorities was part of the high-wire balancing act that defines the speakership. While they worked together far more often than they were in opposition, it was not always clear to what extent Mark-Viverito and her members, on one hand, and de Blasio, on the other, disagreed, given that the Council speaker often kept negotiations close to the vest and declined to comment in detail as the legislative process unfolded. Mark-Viverito and her members also rarely aired internal conflict publicly, while members appeared to know that their speaker would support them, even as she very much pursued her own policy priorities and kept a tight grip on what legislation made its way to the Council floor for a vote. The outgoing speaker made careful decisions about when and how to criticize the mayor, preferring to hold oversight hearings than to make splashy headlines with a sharp quote. She regularly declined to comment about de Blasio’s ethics and transparency problems, instead pursuing legislation to address certain issues or allowing others more willing to be oppositional to fill the space. She mostly stayed out of de Blasio’s feud with Governor Andrew Cuomo, another fellow Democrat, though she herself has been part of some tense intra-party political battles with officials like former Assemblymember and current Manhattan Democratic Party leader Keith Wright. Mark-Viverito assumed the speakership in January 2014 with support from an ascendant mayor, strong labor unions, and a newly empowered Progressive Caucus, bucking the traditional county party-dominated process for selecting a new speaker. 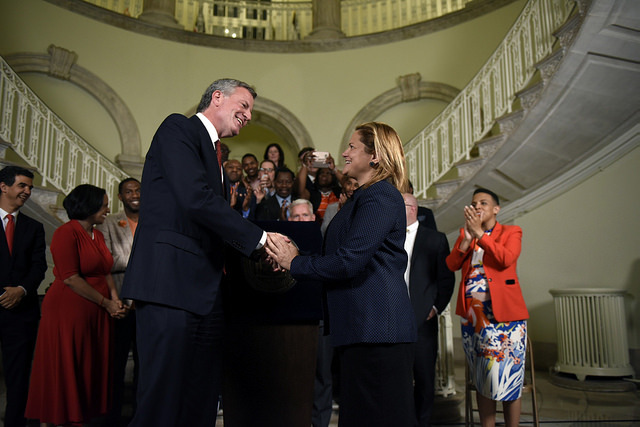 The new dynamic led some to be wary of whether Mark-Viverito would be a speaker for the members of the Council or for the mayor, whose politics so closely resembled her own. After taking office, she quickly advanced internal changes at the Council that were meant to empower members, particularly the chairs of the 40-odd committees, while also maintaining sufficient control within the speaker’s office. Mark-Viverito beefed up the Council staff to support members’ legislative priorities, she said, which led to greater output. Over the four years, the Council passed 714 bills under her leadership, more than any Council class before it. “I was being respectful to member priorities and the vision that they had and working with them on that...and I think that’s the way a legislative body should function,” she said. 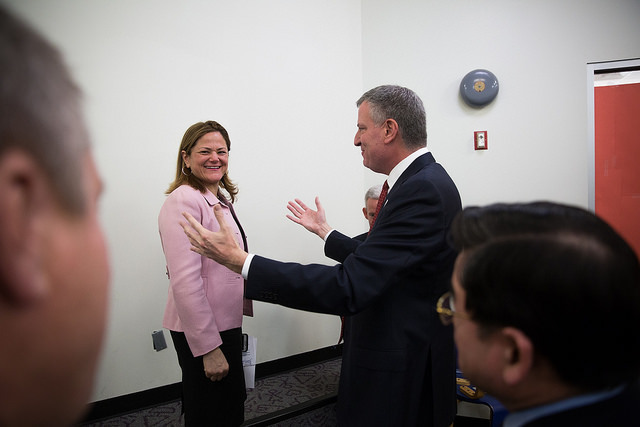 The first two years of Mark-Viverito’s speakership proceeded amicably with the mayor for the most part. The Council played its part in supporting the mayor’s agenda that included universal pre-kindergarten and expanding the paid sick leave law. City spending ramped up with little opposition from the Council, which also advocated for increased spending on its own policy priorities. An early area of disagreement was Mark-Viverito’s call for an increase in the NYPD’s headcount, which struck many as peculiar given her criticisms of police practices and the larger criminal justice system. She unsuccessfully pressed the issue in 2014, and then renewed her efforts in 2015, eventually convincing a hesitant de Blasio to back the expensive idea. The department ended up adding 1,300 new officers, a compromise among the Council, the mayor, and the NYPD. Lander, who was a leading proponent for Mark-Viverito to become the speaker and was named chair of the Council’s rules committee by her, praised the internal reforms that Mark-Viverito implemented early on, which he helped write. The reforms made the Council “a more equal and inclusive body in which every member can zealously represent their community and their values, even when those are different, without fear or favor,” Lander said. Perhaps most notably, Mark-Viverito and her colleagues changed the system by which members are provided discretionary funds to disperse to nonprofits, rationalizing a process that had often been used by previous speakers to reward and punish members. Lander noted that while the speaker often agreed and collaborated with the mayor, she was not hesitant to oppose him or break with him when her members dictated she should. For instance, when she pulled a bill she supported from consideration by the full Council that would have curbed the city’s horse carriage industry. It was a prominent campaign issue in the 2013 mayoral race and de Blasio had advocated for and promised a complete ban. But, amid discontent from members on potential compromise legislation in early 2016, the speaker stood with her colleagues. This former member did credit Mark-Viverito for giving more leeway than Quinn to Council members to push legislation and pursue their individual agendas, while also breaking with the mayor on controversial items. But even then, the member said, there was a degree of deference. “I think Melissa did check with the mayor on everything, and even when they broke, I think they probably checked with the mayor before they broke. So I think it was a real problem,” the former member said. On no other issue has that dynamic played out more strongly than criminal justice reform and the Council’s attempts to legislate, and regulate, the city’s police force. Two police reform bills to regulate officers’ interactions with people, collectively named The Right to Know Act, progressed slowly through the legislative process over the years despite having overwhelming support from Council members and progressive advocates. Tensions reached a head in mid-2016 when Mark-Viverito reached a compromise on administrative implementation by the NYPD of partial measures, in lieu of a full Council vote to codify the provisions into law. Advocates saw it as a backroom deal while Council members fumed over the concession to the administration and the police department. Amended versions of the bills would ultimately pass in a divisive vote at the final full meeting of the Council on December 19, 2017, with numerous Council members and hundreds of community groups coming out in opposition to one bill sponsored by Council Member Ritchie Torres that had been, in their view, diluted to appease the NYPD and the mayor, who said he’d sign the bill given it had struck the right balance despite his skepticism about too much legislating of NYPD protocols. Monifa Bandele, a spokesperson for Communities United for Police Reform, an advocacy coalition, said in a statement that it was “disappointing,” particularly given Mark-Viverito’s progressive credentials on police reform and accountability. “While [Mark-Viverito] was a champion on Closing Rikers, she did not show the same willingness to fight for front-end police reforms that hold the NYPD accountable and systemically change racial disparities in policing and what feeds the criminal justice system,” Bandele said. “She spent three to four years blocking the Right to Know Act, and then helped the de Blasio administration undermine the half of the legislative package of which Council Member Torres was lead sponsor.” Bandele also criticized the speaker’s push to increase the headcount of the NYPD, which Mark-Viverito had argued would help with reforms and implementation of community policing. Torres later changed his tune somewhat, perhaps showcasing some of the mixed feelings Council members have about Mark-Viverito’s tenure and her relationships with de Blasio and her members. “She has been responsive to the needs of the members, there’s no question about it. As a member, I could not be more satisfied with the leadership that she’s given me,” Torres recently told Gotham Gazette at City Hall. As to his earlier comments on her independence, Torres said, “I think it’s a matter of degree. We could always be more effective, we could always be more independent. But has she fundamentally been representative of the needs of the members of the institution? The answer is yes. Not perfect, but fundamentally.” When the Right to Know Act headed to a vote and many of Torres’ colleagues criticized his bill, Mark-Viverito was one of his fiercest defenders, though a number of Council members felt that Torres and Mark-Viverito had capitulated too much to the de Blasio administration. Torres’ bill did pass. Mark-Viverito is leaving office proud of the way she led the Council, and not ruling out her own run for mayor down the line. It’s no surprise that even though she is term-limited she did not challenge a sitting mayor of her own party who she is largely aligned with and who helped her reach the height of her power. She’s leaving office having not only ushered in significant changes to city law, but having altered the way the Council functions and how members expect to be treated by their leader. “Anyone that has to deal with a thousand bills over the course of a tenure is going to have to work to be tremendously balanced when you’re leading a legislative body against, at times, or in conjunction with the mayor’s administration,” said Staten Island Council Member Joe Borelli, one of only three Republicans on the City Council who, more often than not, vote against the types of progressive legislation championed by Mark-Viverito.